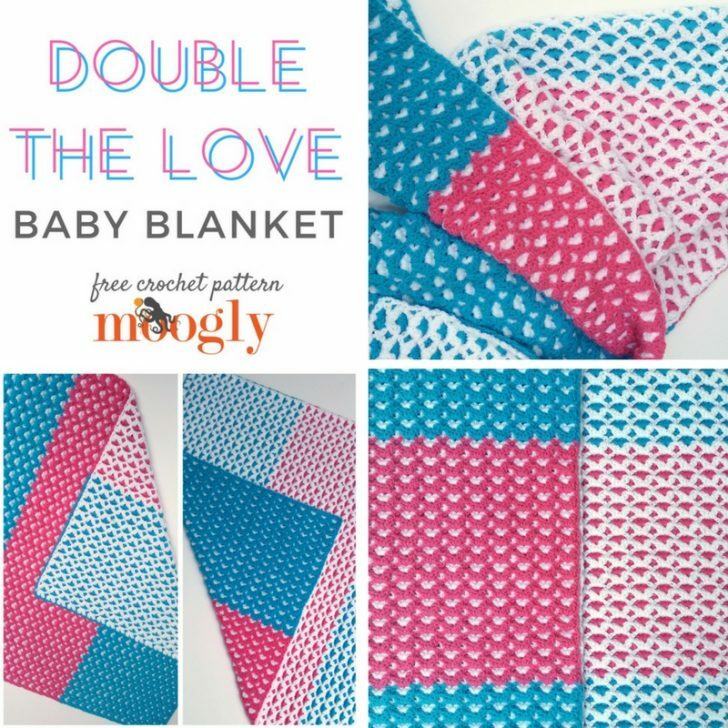 The Double the Love Baby Blanket is double thick, super plus, and reversible for two different looks – and it’s a free crochet pattern here on Moogly! And don’t you just love the way you get two different looks?! I can’t decide which side I love more! 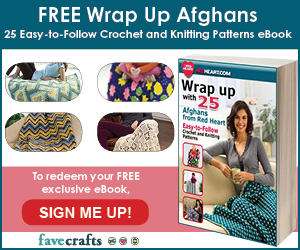 The stitch pattern used here is a little tricky, but I’ve included photos below to help – as well as the stitch multiple so you can make a Double the Love Afghan in any size! 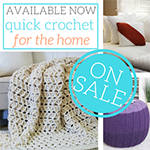 Click here to get the yarn and the pattern all together as a Lion Brand Kit! 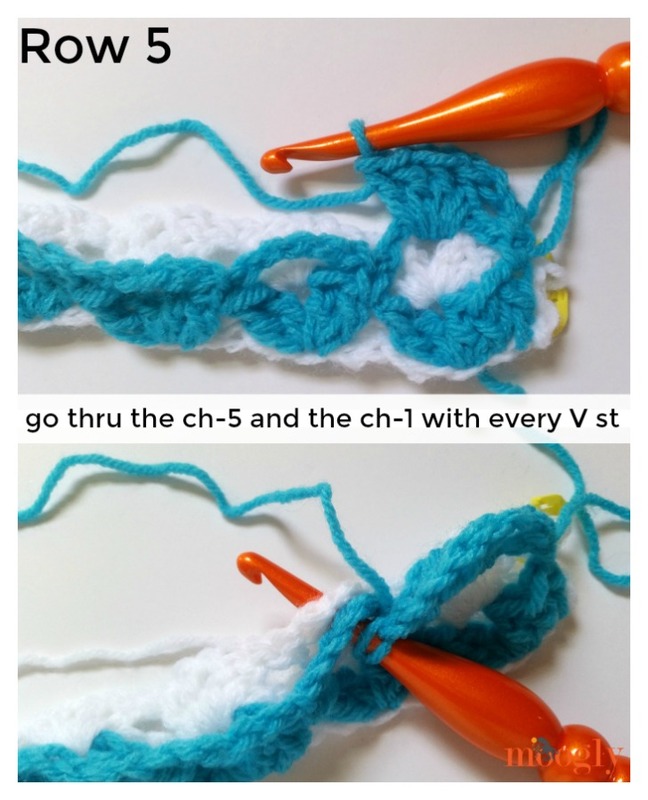 Row 6 and 7: With CA, repeat Rows 4 and 5. Row 8 and 9: With CB, repeat Rows 4 and 5. Row 10 – 56: Repeat Rows 6-9, ending with a Row 8 (CB) repeat; break CB. Row 58 – 112: Repeat Rows 6-9 with Color A and CC, ending with a Row 8 (CC) repeat; break CC. Row 113: With CB, repeat Row 57. Row 114 – 168: Repeat Rows 6-9 with CA and CB, ending with a Row 8 (CB) repeat; break CA. 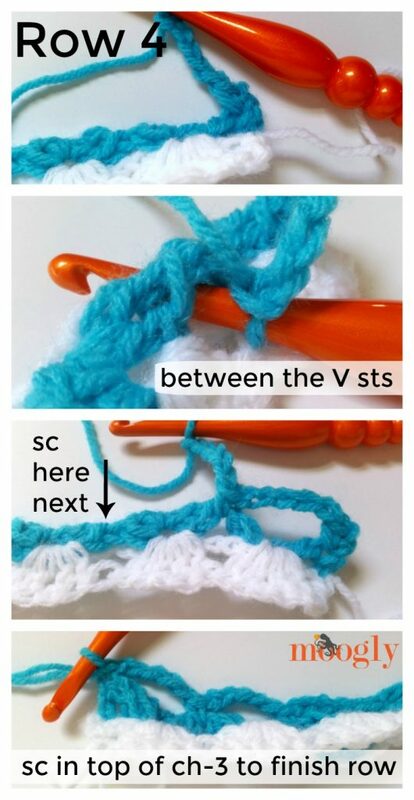 Row 170/End Border: Sl st in each st and ch sp across; break yarn. 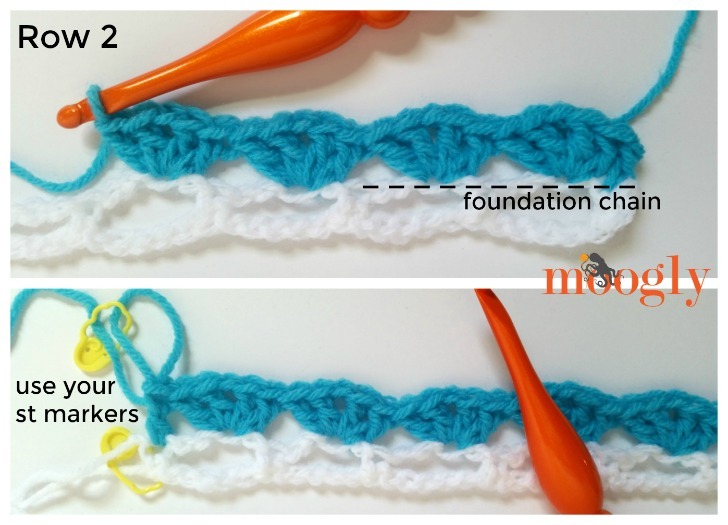 Beginning Border: With CA, join to foundation ch and sc evenly across; break yarn. 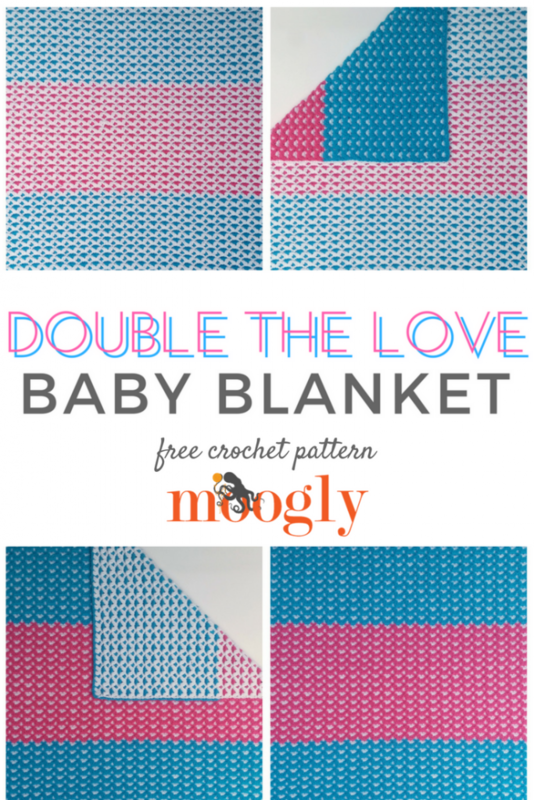 And that’s the free crochet pattern for the Double the Trouble Baby Blanket! 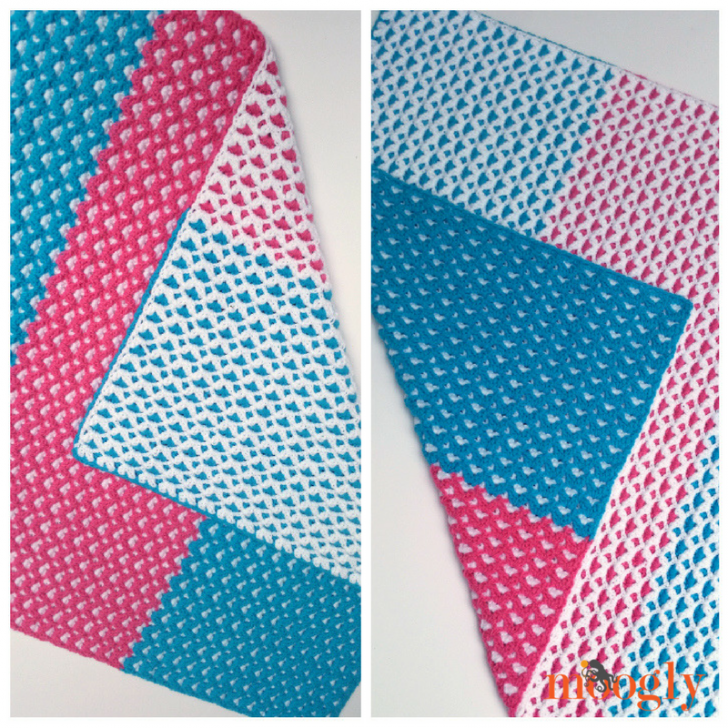 I hope you enjoy making this double sided crochet blanket – with the stitch multiple given above and the long chain method, you could create one of these fun reversible crochet blankets for every room of the home. 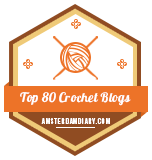 I can’t wait to see what you all make with it, so be sure to share your photos on social media and Ravelry! Very cool look! Will have to try this! OMG, love this pattern! Have read it from top to bottom and viewed the photo tutorial. Decided I need to get out the stash and try BEFORE I start one for real. I can already see many questions ahead of me. lol Maybe because I’ve only had one cup of coffee this morning. Just finished your corner-2-corner afghan and even with your video it took me over an hour to get beyond row two. lol Some days this old brain and hand don’t work together. 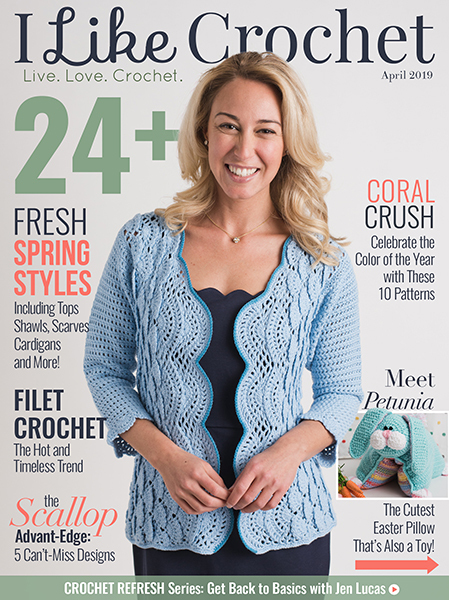 Superb, I am into crochet from long time but this pattern is something i have been looking for . 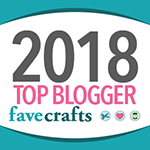 Thank you so so much for this comprehensive post, you are a darling..I have subscribed to your blog and going to add you in my network..and goingt o share this to my lovely ladies in my network. Keep going..
Omg I’m SO excited! 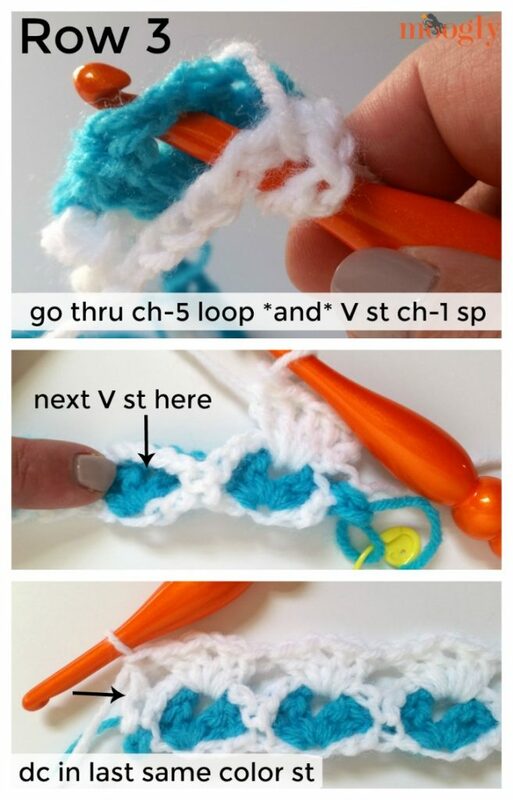 I’ve been looking for a tutorial or something to make that look for over a year and haven’t been able to find anything other than paid patterns that do not come with tutorial! You are amazing and have saved the day once again! 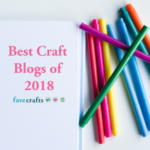 Love love love your blog!! Thanks for sharing!! 😀 I’m so glad to hear it Stacy, thank you! I hope to get a video up by the end of summer as well. I love new patterns and ones with a bit of a challenge. I most definitely will try this after I finish the one I’m making now, which will take a while, a very large king sized with 50 different stitches in it, very challenging but I love it. By the way I’m new to Moogly and I love it! Thank you so much Ellen! I hope you enjoy it, it’s a fun stitch to see come together! I don’t know why, but the pictures are always squished together and I can’t see them on your page??? Hi Terri! I’m so sorry to hear this, how odd! This is the first I’ve heard of this issue. If you have the time, please email me at tamarakelly at mooglyblog.com with info on what browser you are using! Thank you! Lovely, as all your patterns are, when save your patterns i always add moogly to the neme so they are super easy to find later! 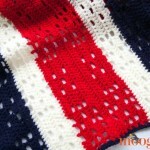 How would I adjust the stitch count to make this into an afghan blanket for my son? I made this baby blanket and I really love the pattern but I don’t understand how to stop and do the border. Currently on the hook right now with heather grey and purple ombre from Caron Simply Soft. I LOVE your patterns. Any time I have projects in mind, I don’t even search Google anymore. I just come straight to your site, lol. Thank you so much, for sharing such wonderful patterns with us! ♥ Oh wow, thank you so much Aubrey! You made my day!